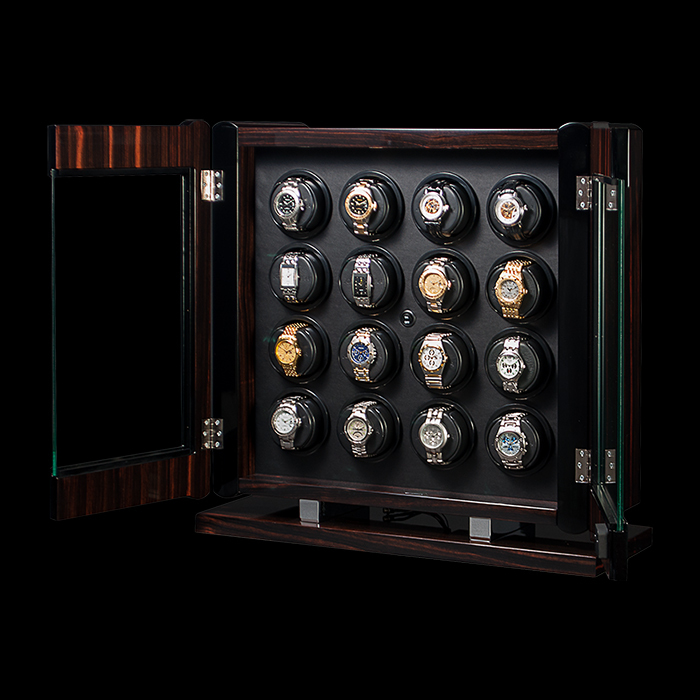 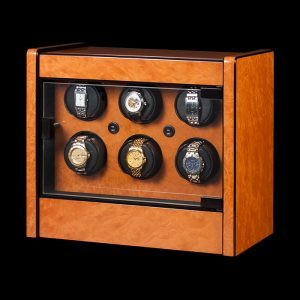 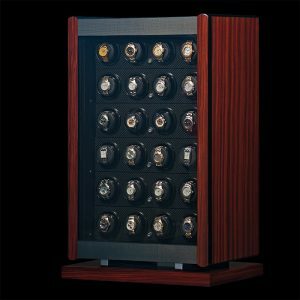 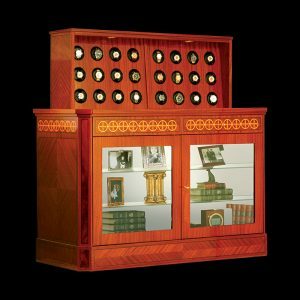 Display your collection in the impressive, free-standing, automatic watch winder with matching pedestal base. The lockable, Italian-made cabinet uses exotic Macassar veneers and genuine carbon fiber accents. 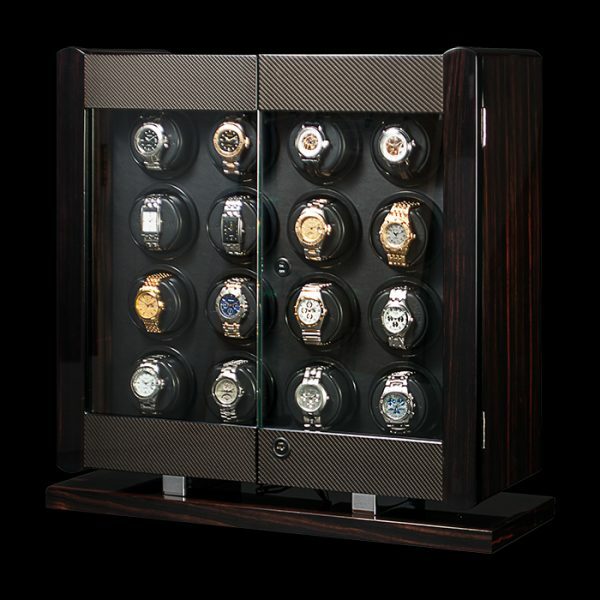 The durable finish provides an attractive high-gloss luster that will last a lifetime. 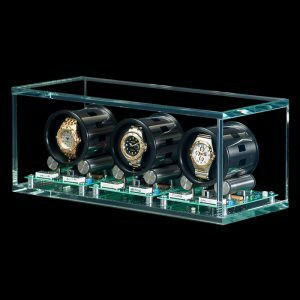 These beautiful units are available with either our patented Rotorwind® system or our Programmable system.